Time Mastery – Key to Productivity and Profitability! I can customize a program to fit your needs! Tell me what you need, and I will develop a custom program for YOU and your team! Allow me to help you launch into action … consistently, deliberately, with methodical strategies … and stop procrastinating or moving too slowly. 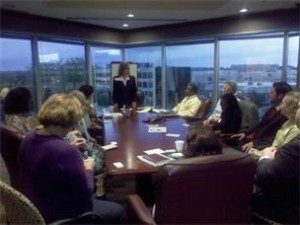 As a Keynote Speaker and Business Trainer, I can customize a presentation that will suit your needs. Do you want to inspire your team/organization to launch into action consistently, deliberately and with momentum? I can inspire them to get busy and to stay with it! Do you want to encourage members to believe in their dream and ultimately the vision of the organization? I am the person you want in front of the room!. CAPTIVATING!” ~ “INSPIRING!” ~ “ENGAGING!” ~ “ENERGETIC!” ~ “PASSIONATE!